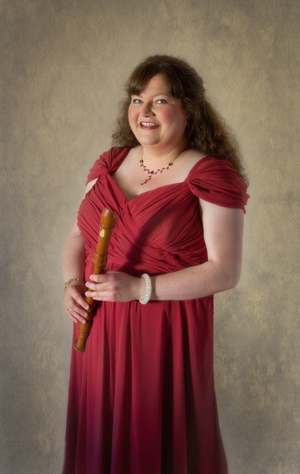 After graduating from Lancaster University in 1995, Sophie went on to study recorder, modern and baroque flute at Trinity College of Music with Rebecca Miles, Ann Cherry and Stephen Preston. Other teachers have included Pamela Thorby and Rachel Brown. Sophie has performed widely as a soloist and chamber musician, appearing at many festivals throughout the country including Chichester, Brighton, Suffolk, Kingston Upon Thames and Edinburgh and has also been a member of the Essex Baroque Orchestra and the Britten Pears Baroque Orchestra. As a solo recitalist Sophie has performed at venues including the Handel House Museum; the Victoria and Albert Museum; Farnham Castle, Surrey and at the Fairfield Hall, Croydon. She is also in great demand as a teacher and has been recorder tutor at Chichester University since 1996. Sophie formed her own baroque period chamber group, The Parnassian Ensemble, in 1998. Since then it has gained a reputation for its virtuosic performances and innovative programming. The group has appeared at prestigious venues throughout the British Isles such as The Purcell Room; St John’s, Smith Square; St David’s Hall, Cardiff and The Fairfield Hall, Croydon. The ensemble also performs for festivals, music societies and museums as well as schools and universities. The group’s concert schedule has included appearances at the Victoria and Albert Museum; the National Portrait Gallery; the Cobbe Collection of historical keyboard instruments, Hatchlands, Surrey; the Newbury Spring Festival; the Djanogly Recital Hall, Nottingham; the Firth Hall, University of Sheffield and the Totnes Early Music Society, Devon. An unusual feature of its recitals is the introduction to audiences of fine, original, early eighteenth-century English recorder music which would otherwise remain virtually unknown. It was this enthusiasm that led to the recording of their critically acclaimed first disc, A Noble Entertainment – Music from Queen Anne’s London 1702-1714 (AV2094) released on the Avie Records label and which is now regularly broadcast on BBC Radio 3, Classic FM and world-wide. Sophie can also be heard on the New London Chamber Ensemble’s recent recording of Carl Nielsen’s Music for Wind and Piano released by Meridian Records.